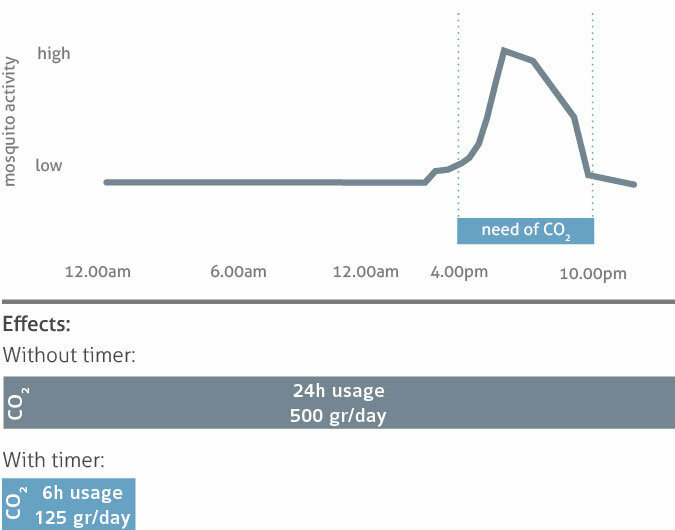 The BG-CO2 timer allows you to control when CO2 is released by establishing specific start and stop times. It enables you to set up two start and end times to release CO2 each day. it can be used with all existing traps and runs off of a 9V battery. 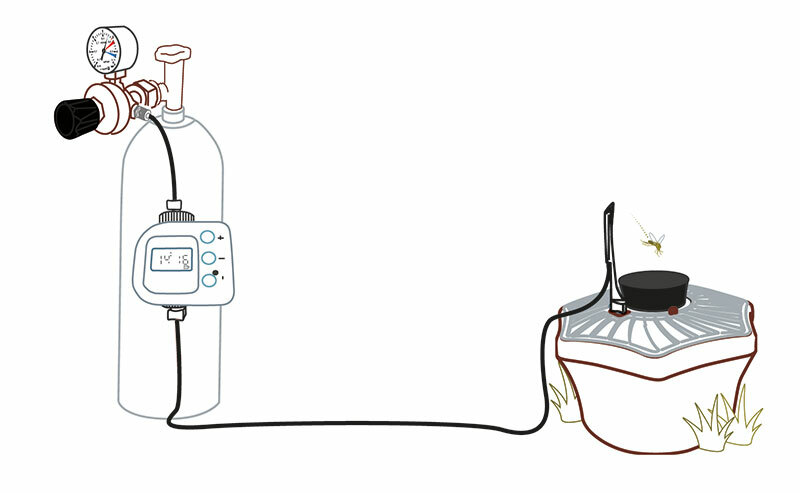 The BG-CO2 timer is placed between the CO2 tank and the mosquito trap. 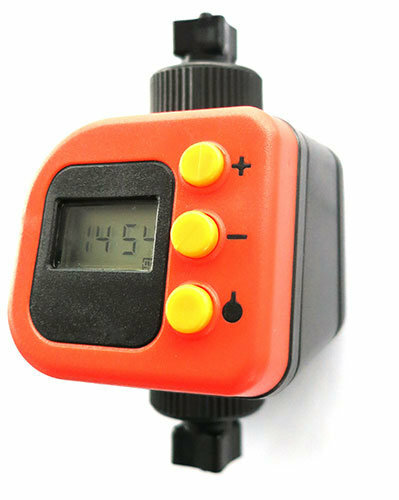 The BG-CO2 timer consists of a body with a display and buttons to set up the release times, and two connections to the CO2 tubes. The 9 V battery to run the timer is not included in the contents. The battery should last at least 6 months.